Become acquainted with the foundational concepts of leadership through the lens of 18th century Williamsburg, Virginia. Assess and Define your personal approach to leadership both as a leader and as a follower. Create strategies that make it possible to deal effectively with the challenges facing today’s educational leaders. Travel, accommodations, and dinners are on your own. An introduction to leadership and leadership styles, focusing on the characteristics of effective leaders and the recognition of leadership ability of others. Williamsburg’s role in demonstrating leadership, past and present, will consider Virginia’s unique role in fostering American independence and government throughout the centuries. Participants will reflect on what had been presented and its implications for their future actions. An initial orientation tour of Colonial Williamsburg’s Historic Area, followed by a series of interactions throughout the day with the early leaders of Colonial America. An investigation of the Declaration of Independence will include a discussion with Thomas Jefferson and his views relative to this particular document. A concluding analysis and discussion of the leadership styles of these early founders will be preceded by a tour of the Capitol. This final morning will be devoted to small group opportunities to reflect on what had been presented during the past two days. Participants will consider their own leadership styles and the implications for their future professional interactions. This event is open to all (NCSS Members & Non-Members) with an interest in leadership and examining the founders of our nation from multiple levels of our society for social studies education. It is highly recommend for educators with an interest in leadership development, including K-12 teachers, administrators, and other professionals interested in enhancing their leadership skills within the context of social studies education. NCSS Board of Directors, affiliated council leaders, special interest community and committee chairs and members are especially encouraged to attend. The program will begin at 8:30 AM on Tuesday, July 17, 2018 and end at 12:00 PM on Thursday, July 19, 2018. Tidewater Coach services Richmond, Newport News-Williamsburg, and Norfolk airports. Make reservations online at http://www.tidewatercoach.com/CWTI.html or call (757) 218-9539. 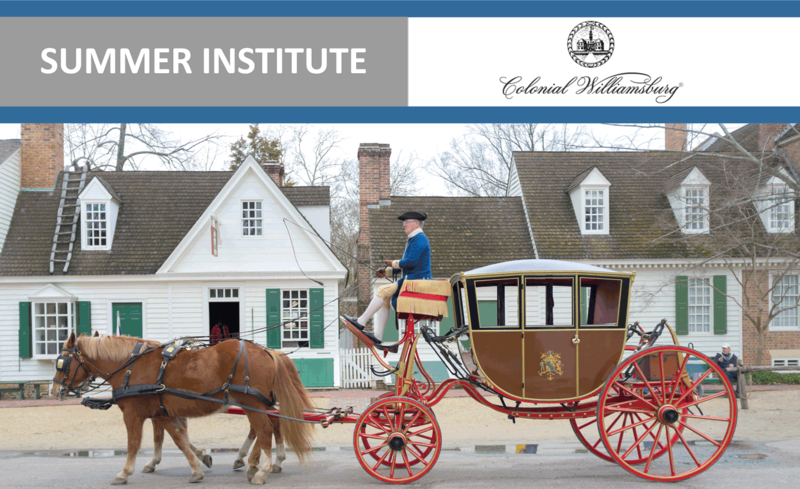 Reservations must be made at least one week prior to your travel date and identify yourself as a Colonial Williamsburg teacher program participant. James River Transportation services Richmond International Airport. To make reservations call (855) 831-4343. Amtrak serves the Williamsburg Transportation Center, located a few blocks from the Revolutionary City. Taxi service is available onsite or call the Williamsburg Inn to make advance arrangements for a shuttle. The Colonial Williamsburg Foundation preserves, restores and operates Virginia’s 18th-century capital of Williamsburg, highlighting the relevance of the American Revolution to contemporary life and the importance of an informed, active citizenry. 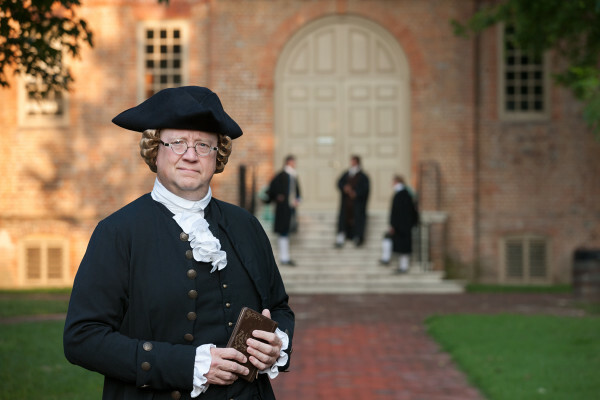 The mission of the Colonial Williamsburg Foundation is to feed the human spirit by sharing America's enduring story. National Council for the Social Studies is the largest professional association in the country devoted solely to social studies education. Social studies educators teach students the content knowledge, intellectual skills, and civic values necessary for fulfilling the duties of citizenship in a participatory democracy. The mission of National Council for the Social Studies is to provide leadership, service, and support for all social studies educators.